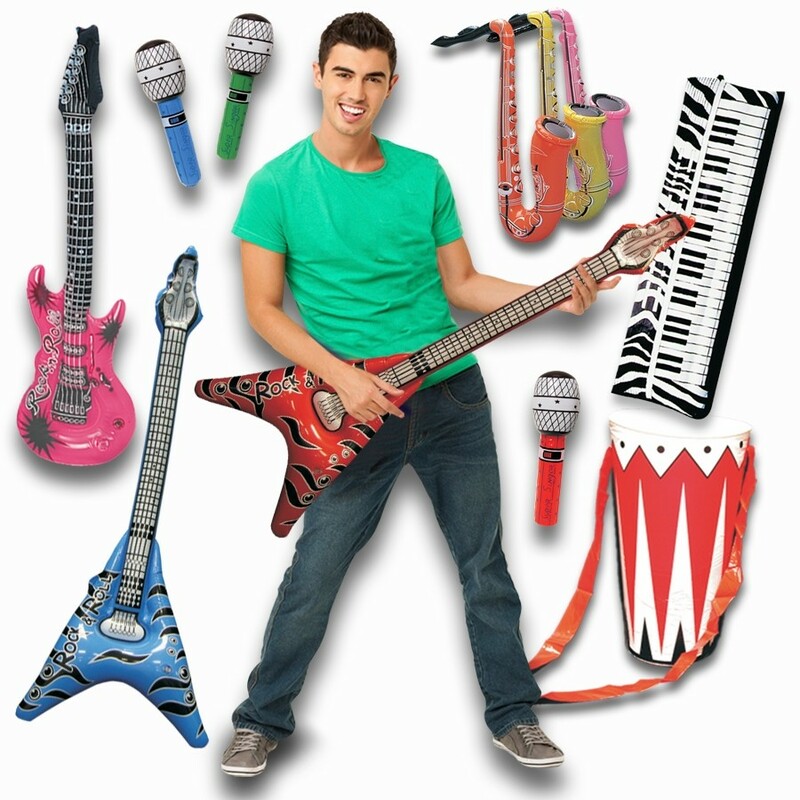 Now you and your friends can play every instrument with our Inflatable Band on the Run kit. Each 24 piece kit comes with 4 pieces of each... 42" Guitars, 42" V Guitars, 24" Saxophones, 14" Bongo Drums, 24" Keyboards, and 10" Microphones. This fun inflatable band is perfect music teachers and playtime for kids of all ages.